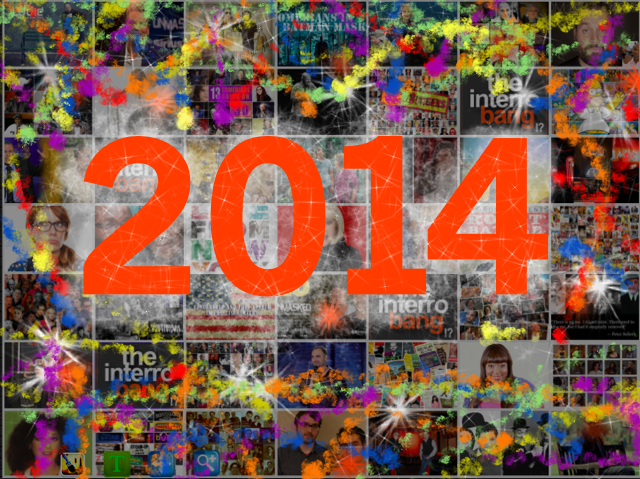 It’s been a tremendous year of change for all of us. At the end of our first year devoted full time to comedy, we wanted to thank everyone who has helped the site grow. The contributors, the developers, the writers, readers and commenters, and everyone who helps us out by retweeting, posting on other sites and boards, we can’t thank you enough. We have big plans for 2015 to continue and grow and hope you’ll all stick around. We always could use more help so please let us know if you want to join the team. Just email editor@theinterrobang.com and let us know. Have to give a few people individual thank you’s because they do so much for the website. Amy Hawthorne, and Lesley Coffin who do so much great writing, Christine Evans who helps to connect us with many great people, Kevin Kanach for his daily meme’d from the headlines list, writers Andrew Fargnoli, Kelsea Bauman, RJ Waldron, Earl Douglas, Liberty Hardy, Dan Murphy, Dan Perlman,Sharon Doughterty, Laura, Debra, Jarred, Jason, Mike, Kate and a long list of unnamed contributors, Bonnie McFarlane, Mike Bocchetti, Luis J Gomez and the late great Otto Petersen, for contributing pieces, John Young from Shout it Out Design for so much help, Dennis Hyland for his incredible drawings, Gina for her amazing design work, our new friends Matt and Kyle for their work on the site, Foggy Otis for helping to spread the word, to Johnny Go Go and family for all his time and help getting the word out, the long list of people who send in links and stories including our good buddy Kyle the linkmaster, the new people who are coming on board in 2015 and all the club owners, bookers, managers and producers who we have just started working with us, all the comedians, our good friend Jeffrey Gurian, and most of all our good friends at the Ron and Fez Show for an incredible year of collaboration, and particularly Ron Bennington. Of course we’ve missed someone, and someone important and as soon as we figure out who, we’ll feel awful about it because every single person who contributes in any way is greatly appreciated. So for our final year end wrap piece, we’ve picked our 25 favorite stories this year, a nearly impossible task, and our 10 favorite interviews– also really tough to do. So if you missed this past year and you’re just joining us, this should catch you up to date. Thank you again to everyone and we are so excited for 2015! Nine Great Artists Share Their Memories of Nine Incredibly Talented Comedians by Jim Florentine, Danny Aiello, Mitch Glazer, Lynne Koplitz, Rick Overton, Vic Henley, Gary Gulman, Bill Burr and Shecky Greene. The Carson Podcast. All Things Carson From the People Who Knew the Tonight Show the Best by Interrobang Staff. Shout Out Column of the Year! 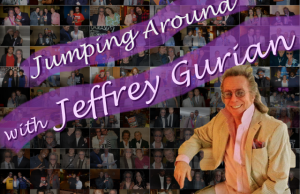 Shout out to Jeffrey Gurian and his weekly column! Check them all out here including amazing coverage of Montreal JFL, NYCF and comedy in New York! Thank you again and have a happy and healthy 2015!